Now we have officially finalised our route, which you can find in our previous post, it is time to plan where we are going to stay and what we're going to do. For the sake of our safety (well you can never be too careful) and for the excitement too of future posts, we are not going to tell you exactly where we're staying in which country or what we're going to do. But what we will share with you is how we found inspiration, where to find it and some tips and tricks to show you what we did. This is clearly our favourite as it's always mentioned when we do a planning holiday post. You just can't go wrong with reading some reviews and the website/app itself is so easy to navigate and organised into sections to go down to exactly what we want. It has always been our go to for where to eat, always finding their number place to eat or number one attraction to visit or do. Are you a TripAdvisor fan? Do you write reviews? Although Lonely Planet is very popular, we've never used it as much until now. From our trip to Marrakesh we used one of their travel books about Marrakesh and realised how helpful it was - such perfect little pocket books. 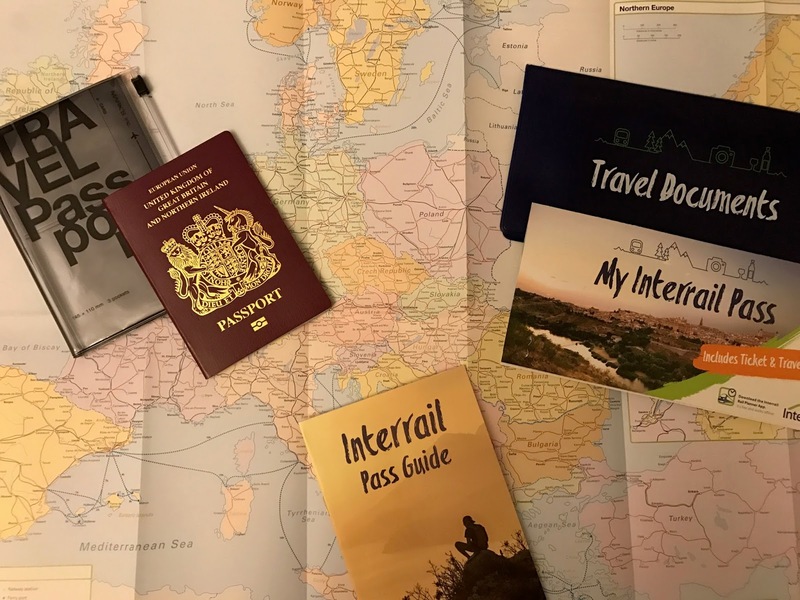 We have yet to purchase the pocket books (well we hope to anyway) but for now we've been using their website which gives you a variety of videos, suggestions, from attractions to accommodation. As vloggers ourselves we love simply typing in [insert country] vlog and watching whatever comes up. One, it's really fun to watch and interesting to see what others do and two, it's good research and inspiration on how to edit our own vlogs! Who are your favourite travel vloggers? Some may find it easier to visually see and get ideas, rather than just looking at pictures and reading a post, which brings me to my next inspiration..
We follow many bloggers and whether they are niche travel bloggers or not, you'd always find some sort of travel inspo everywhere. Just simply coming across some retweets, or in Twitter chats. It's always so helpful to have of opinions from people doing the same thing as you (blogging) feels more easier to trust their opinion as if you know them already. Do you have any travel posts? Or any travel blogger suggestions? If you haven't already, do check out our Tips & Tricks: How To Plan a Holiday post! The Details, The Reservations, The Packing etc. Check out where we're off to and help us out with commenting you tips and tricks or suggestions for any country you've been to? Oh my this is so exciting! I love watching vlogs of holidays too, so inspiring and definitely gets you in the travelling spirit! I can't wait to hear more about your adventures. I'm so excited for you guys! Interrailing is so awesome. I love planning for trips! I always have fun going old school and camping out at the library or Barnes and Noble for an hour or so, flipping through travel books! Have so much fun planning! Ah you'll have so much fun! I don't use TripAdvisor much for my travels, I read posts and watch vlogs! My favourite travel vloggers are Funforlouis (man I want his life), Sawyer Hartman, Exploring with Josh (they all did a really amazing trip in Bali which gave me so many things to do for my travels out there) and a few others. I am also an addictive pinner on Pinterest with my travel board, so many beautiful places, great if you want to find those hidden luxuries too! I also follow so many travel bloggers, as I am one myself, and it's just very interesting to see everyone's different point of view. Hope you have an amazing trip, it sounds amazing! Croatia is beautiful as well, try and get around the islands just off the mainland, definitely worth it! I'd love to go Interrailing but I'd need someone to go with - there's no way I'd go on my own! I haven't used TripAdvisor very much, but then I haven't really travelled very much. I definitely need to, though! I always use Trip Advisor and have got into the swing of leaving reviews of different places on it as well. I've never thought about trying Lonely planet, but I always see their little travel guides, so I'll need to pick one up before my next trip. I love watching travel vlogs and travel inspired youtube videos, there's something about almost feeling like you are there that keeps me inspired! Love planning trips abroad, literally looks like you will have so much fun. I also use YouTuber and Bloggers to plan trips, its great hearing different people's experiences. I am definitely looking forward to hearing yours!